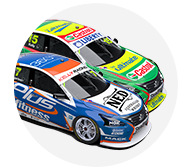 Rick Kelly led Jamie Whincup and Michael Caruso in opening practice for the CrownBet Darwin Triple Crown, as Nissans filled two of the top three places. Winton victor Kelly, a polesitter at Hidden Valley in 2015 and ’17, turned a 1:06.5065s to set the pace as running got underway on Friday afternoon. The Red Bull Holden Racing Team’s Whincup was second, 0.1158 seconds adrift, while Kelly’s team-mate Caruso rounded out the top three, also within two tenths. Kelly logged the first sub-1:07s lap of the weekend with an early 1:06.8440s, which was followed by a 1:06.0895s from Scott McLaughlin, 11 minutes into the 45. They remained at the top of the order, followed by Whincup and Fabian Coulthard through the middle phase of the session. Craig Lowndes joined McLaughlin and Kelly in the 1:06s bracket with 13 of the 45 minutes remaining to slot into third place, that group separated by just 0.0708s. It took until the final five minutes for significant change at the top of the order, initially with Will Davison and Scott Pye moving into fourth and fifth from outside the top 20. David Reynolds finally displaced championship leader McLaughlin with a 1:06.8031s, but his time in first place was fleeting, Kelly logging his 1:06.5065s moments later. Kelly was nearly three tenths up at the time, before improvements from Whincup and Caruso trimmed that advantage in the closing stages. “You’re not too worried about where you are at the end of Practice 1, because you don’t know what tyres everyone else is on,” Kelly said. “But the session itself for us was really strong. We tried a lot of stuff there and the car didn’t fall away, and we found a couple of things that we used towards the end to our advantage. Seven-time champion Whincup starts the weekend fifth in the standings, with Triple Eight hopeful a test last week at Queensland Raceway will yield gains. 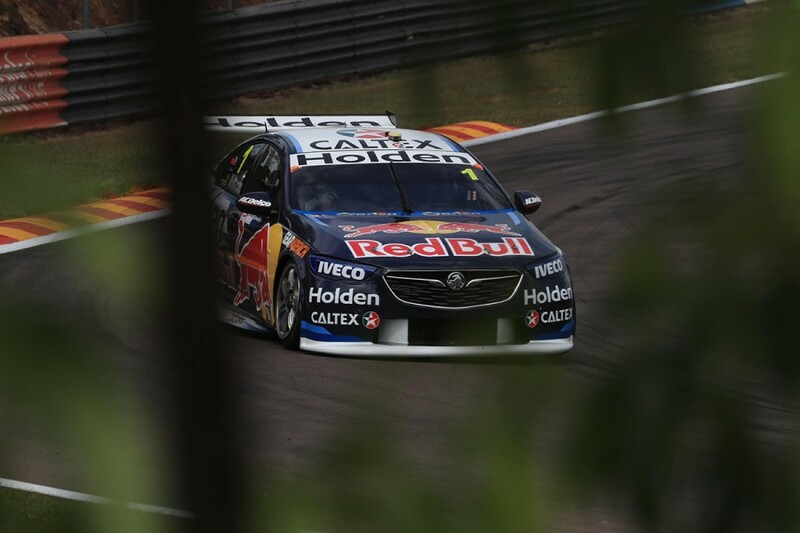 “Winton wasn’t too flash, so the car is very different,” Whincup said. Reynolds wound up fourth in his Erebus Motorsport Commodore, while Shane van Gisbergen moved up the order late to pip McLaughlin for fifth. Lowndes, Tim Slade, Davison - managing a fracture in his left ankle after a training mishap - and James Courtney rounded out the top 10, ahead of top rookie Jack Le Brocq and Pye. 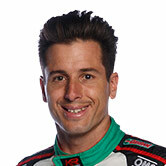 Looking to turn its tough season around, Tickford Racing’s top runner was Chaz Mostert in 14th, six tenths off the pace. 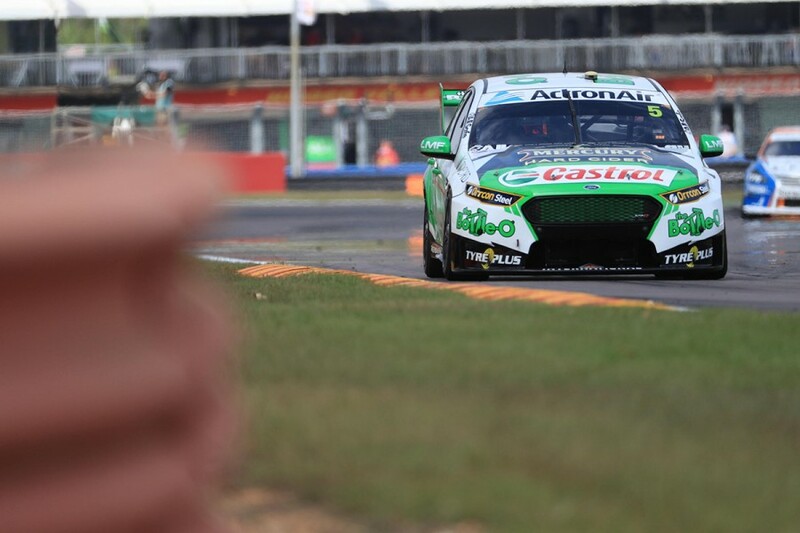 Team-mates Richie Stanaway, in his new-look Falcon, Mark Winterbottom and Cameron Waters filled 17th, 18th and 19th. “We were just trying something different,” Winterbottom said of his session. “It wasn’t working then, but we know where the problem is and we have another session this afternoon and one tomorrow. “There’s no point rolling out what we did at previous rounds, because clearly that wasn’t quick enough as well. A host of drivers went off at Turn 1 during the 45 minutes, with Brad Jones Racing’s Slade, Nick Percat and wildcard runner Macauley Jones - who were 21st and 27th - among the group. Their three ZB Commodores showed signs of front-splitter flex in the high-speed braking area, which team owner Brad Jones believes can be rectified. “We’re not the only ones with a bit of flap going on at the end of the straight,” he said. “It’s got a pretty long beak on it, so really I think it’s all about how much front downforce you’re trying to generate. Practice 2 for the CrownBet Darwin Triple Crown starts at 3:10pm local time at Hidden Valley.